Easter is love. 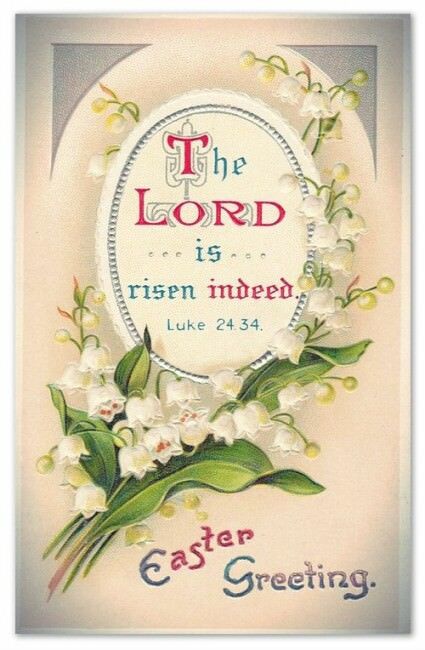 Easter is the love of Christ and God our Father. Easter is the time to show appreciation to all those who mean the most. Thank You and Happy Easter. We are stardust. We are the Universe. God loves every one of us. Oh, the happy joy on this special day! 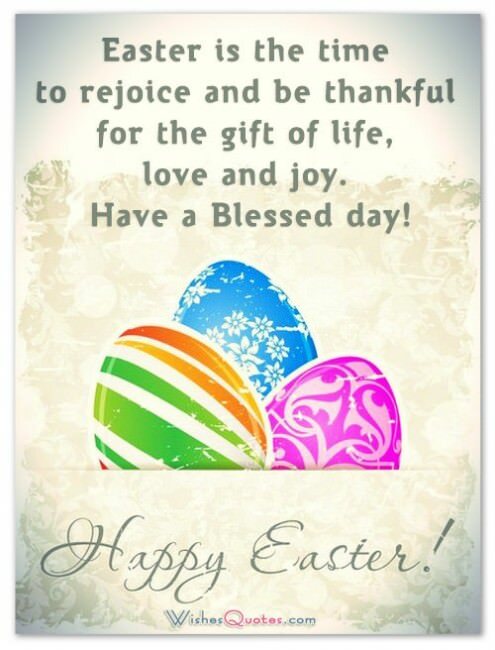 All the blessings of Easter to you. 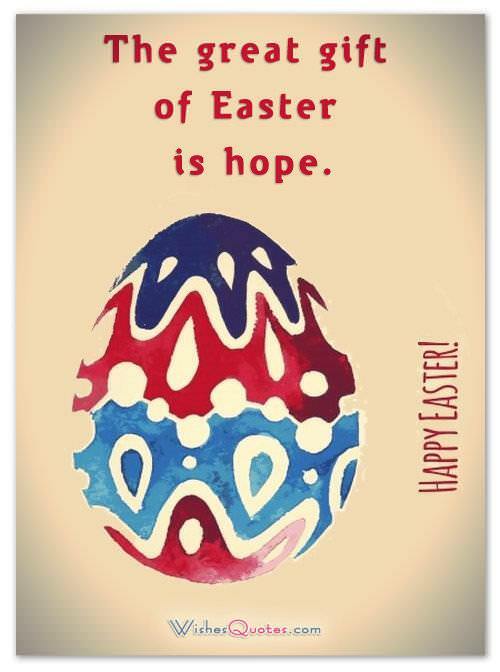 The spirit of Easter is all about Hope, love, and joyful living. – By Anonymous. God expects from men something more than at such times, and that it were much to be wished for the credit of their religion as well as the satisfaction of their conscience that their Easter devotions would in some measure come up to their Easter dress. – By Robert South, Sermons.